Early in 2008, the Club was established by Coach Mike Ferullo, as the HopeFound Bulldogs at the Shattuck Hospital shelter in Jamaica Plain, MA. Located a quick jog away, Mike began his mission to support those battling and recovering from addiction on the scenic roads and trails that make up Boston's historic Franklin Park. In 2012, the Club was adopted by Pine Street Inn, under the name Pine Street's Bulldogs Running Club, and Mike continued his role as leading mentor and volunteer coach. The club helped provide members with the opportunity to participate in a positive social and wellness program supporting their recovery. Through running, Mike was able to help countless individuals in bettering their lives. 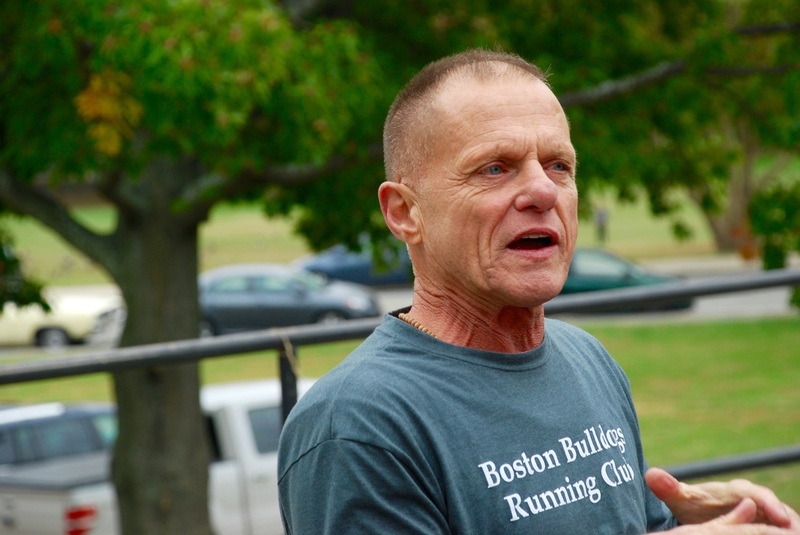 In the fall of 2015, Coach Mike reinvented the Boston Bulldogs Running Club as an independent entity to offer support to those battling all forms of addiction, as well as their friends, family and supporters, across greater Boston. Forming a team of like-minded individuals who shared in his passion to help others, the first official club run was held on October 24th, 2015 at the Chestnut Hill Reservoir.